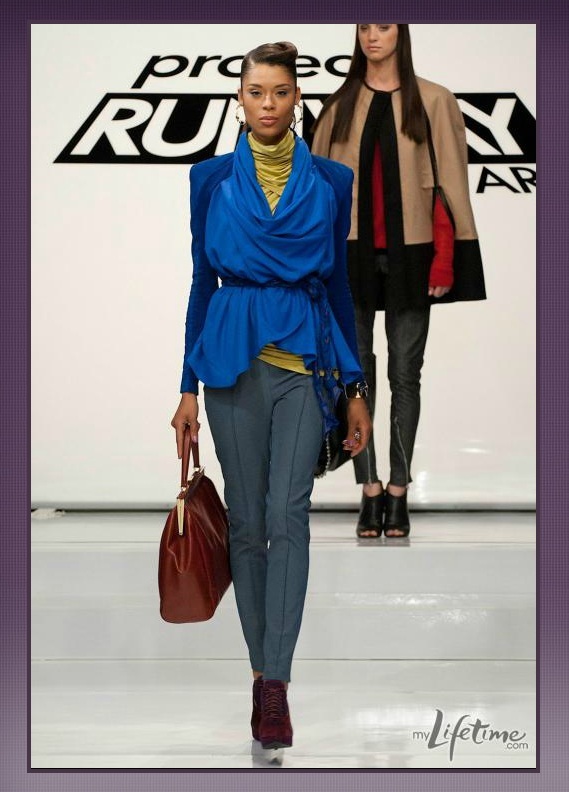 Did you catch last night’s Project Runway All Stars? If not, go watch it on mylifetime.com, they post the full episode for your viewing pleasure! Sportswear for a seasonal weekend getaway is a challenge in itself, but now competing against one other person brings it to a whole other level! I think the designers had their work cut out for them this week! On top of all that, the DRAMA! Jeez. Lots of drama this week. Everything Rami put together I just loved, I always love his work, but this week that coat was just AMAZING! After all of the gorgeous looks he has put out, I can’t believe they sent him on his way! That is just heartbreaking, especially compared to Austin whose design was so bleh. Rock on Rami, you are such a talented designer. I think Kara is a probably a good designer, and I agree with the judges, nothing is original in this look. But it is still a beautiful pair of pants! Le sigh. I miss Rami already! Next week’s Broadway episode should be interesting, especially with the seven that are left!